Cindy Piccolo received her Distinguished Toatstmaster medal at the District Conference in Milana and we congratulate her for this achievement. We now have two distinguished Toastmasters in our club we are very proud of Sandra and Cindy. Our former president Miao Gerhard becomes the new Area Director for the term 2017/2018. Our club receives again the President’s Distinguished Club Award for 2015-2016 under the presidency of Ralf Dümpelmann. Caroline de Stexhe wins the 3rd place in the public speaking contest at the District Conference in Winterthur. 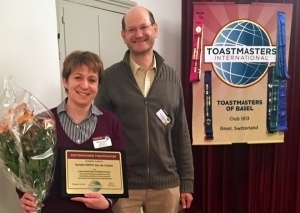 The Toastmasters of Basel attains again the President’s Distinguished Club Award, the highest award for a Toastmasters Club, for 2014-2015 under the presidency of Miao Gerhard. Sandra Van de Cauter is awarded Distinguished Toastmaster (DTM) at the Fall Conference in Amsterdam. Sandra Van de Cauter, former Division Governor, receives the award for ‘President Distinguished Division 2014-15‘. This is an incredible achievement, of which our club is very proud. Sandra Van de Cauter is awarded ‘Division Governor of the Year‘. This award is a result of a vote among all District members with the final vote of the District Governor. Read more about this on our blog! Caroline de Stexhe becomes new Area Director 2015/2016, congratulations! 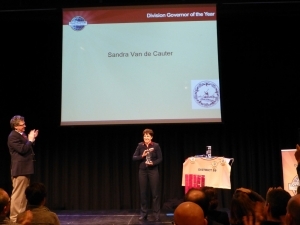 Sandra Van de Cauter is awarded Distinguished Toastmaster. Sandra Van de Cauter becomes Division E Governor (Switzerland). Congratulations Sandra! 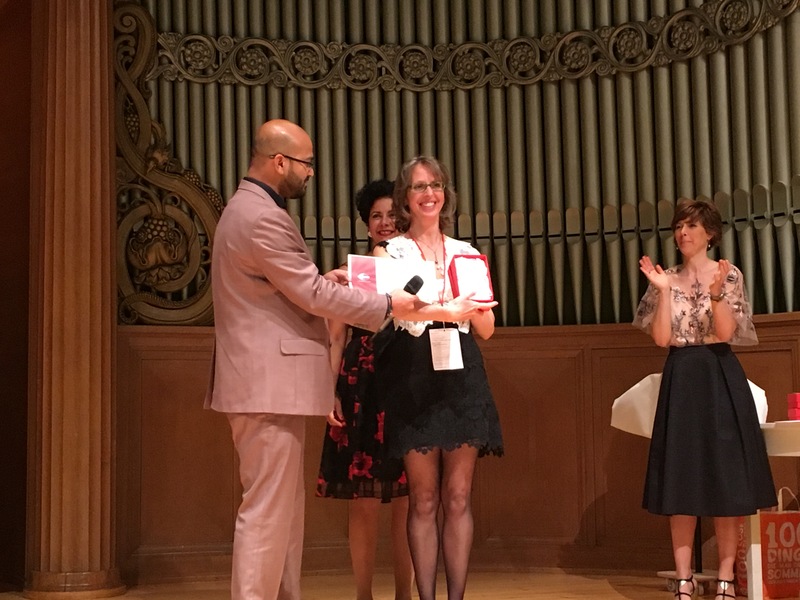 The Toastmasters of Basel attains as the first club in Switzerland the President’s Distinguished Club Award, the highest award for a Toastmasters Club, for 2013-2014 and achieves 9/10 of club goals. Fouad Alame wins 3rd place in Division E (Switzerland) Spring 2014 English International Speech Contest. Fouad Alame wins 2nd place in Division E (Switzerland) Fall 2013 English Humorous Speech Contest with his speech “Standing on two legs”. The Toastmasters of Basel attains President’s Distinguished Club Award for 2012-2013 and achieves 9/10 of club goals. Cindy Piccolo is elected Secretary on the Executive Board of Toastmasters Committee District 59 and serves 2013 – 2015. Fouad Alame wins 2nd place in Division E (Switzerland) Spring 2013 English International Speech Contest with his speech “Inspiring voices”. Janene Liston wins 1st place in District 59 (includes numerous countries of Continental Europe) Fall 2012 English Humorous Speech Contest with her speech “Caveman Two Point Ugh!” and 3rd place in English Table Topic Contest. 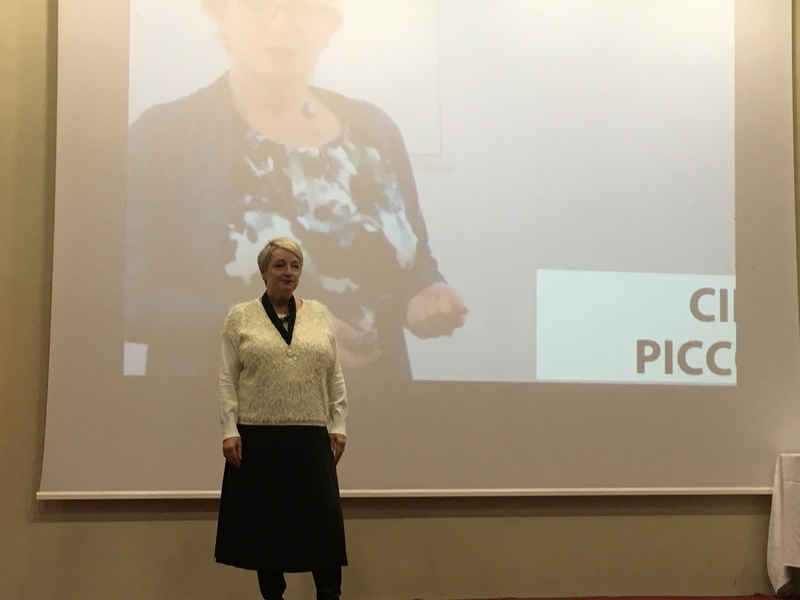 Olivia Schofield, a World Champion Finalist of Public Speaking in 2011 in Las Vegas, gave our club an interactive workshop “How to sizzle on stage”. The Toastmasters of Basel attains President’s Distinguished Club Award for 2011-2012 and achieves 10/10 of club goals. Paulo Francisco Lay wins 2nd place in Division E (Switzerland) Spring 2012 English Evaluation Contest. Janene Liston wins 2nd place in Division E (Switzerland) Spring 2012 English International Speech Contest with her speech “Duckie moon”.